Are you interested in having a FREE One Day Seminar in your area? a FREE One Day Seminar with Emilio and Trish! 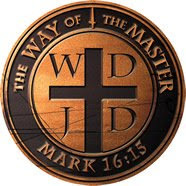 What others are saying about the "One Day Seminar"
"I have been using The Way of the Master for a while, but I still learned several things that will be useful. My 13 year old daughter learned how fun it can be to talk to others about the Gospel. Praise God!" "I just wanted to take some time to tell you how blessed I was to attend The One-Day Evangelism Crash Course, in August. In my 9 years as a Christian, I have never been more awestruck and convicted as I was when I was sitting during the different sessions. To think how selfish I was to keep God’s grace and mercy to myself and not want to share His blessings with others whose salvation I SHOULD BE concerned about. This whole event actually came through the encouragement of my teenage son who has been participating in Saturday night evangelism, and his new found passion to share the Good News with strangers. Until that day, I would tentatively share my faith with family and friends and not consider asking open ended questions to understand where they stood with their faith. About 2 weeks after the event, God gave me courage to use my new tools to share with my unsaved Grandmother and Mother. I grabbed my worksheet and bible and lovingly began my steps (boldly I might add with both of them at the same time) – in the end my mother asked, “What do people mean when they say they are born again?” Praise God!" If you've been wanting to help a small group, Sunday school class, or your entire church learn how to witness using The Way of the Master, this comprehensive 1 Day Course is the ideal training tool! Each Session will teach you to overcome your fears by using a proven, powerfully effective way to make the gospel make sense. You won't be at a loss for words. You don't need to be an expert in apologetics. Instead, you'll learn the forgotten biblical principle of bypassing the intellect (the place of argument) and speaking directly to the conscience (the place of the knowledge of right and wrong) — the way Jesus did. Using a captivating teaching style, Kirk Cameron and Ray Comfort not only tell you how to witness, they show you, through fascinating on-the-street conversations with gang members, atheists, cult members, intellectuals, etc. "Your course was the most amazing evangelism training program I've ever seen . . . it is fresh innovative, captivating, equipping and inspiring. It is far better than anything I've ever seen before." --Allen Atzbi, youth pastor, Cornerstone Christian of Boca Raton, FL. Want more information on how to book your Seminar? If you are a member of a church located in the Dallas/Fort Worth area, Emilio and Trisha Ramos would like to partner with your local church to hold a Free "One-Day Evangelism Crash Course". Discover a compassion for the lost and learn how to share your faith. The "One Day" Seminar takes several weeks of The Way of the Master evangelism training and puts it in to ONE day! It has been proven to work! The "One-Day Evangelism Crash Course" has been proven to work. With its three eye-opening DVDs, you will get the tools and the courage you need to become an active and effective soul-winner in the harvest field. This course is designed to give you a clear understanding of biblical evangelism which results in a compassion that swallows fear and equips you to be effective in everyday life. It's designed to move you from passive to passionate in just ONE day. How long is the Seminar and who facilitates the event? This seminar is approximately 4 hours and is facilitated by Emilio Ramos (Trisha's husband). Emilio is the Teaching Pastor of Sovereign Joy Community Church. Emilio is a long time friend of Ray Comfort and Living Waters Publications. Join Emilio and Trish as they tag team to host this event at your church. What's required of the hosting church? • Emilio and Trish accept invitations on a first-call, first-serve basis regardless of the size of the Seminar. Love offerings are the normal compensation though other arrangements are possible. Transportation expenses and lodging are appreciated (two round - trip tickets from DFW and lodging). How do I bring the Crash Course to my church?